If you have it we can safely and convieniently recycle or dispose of it properly. Haul Yall’s Junk has been in business since 1976. 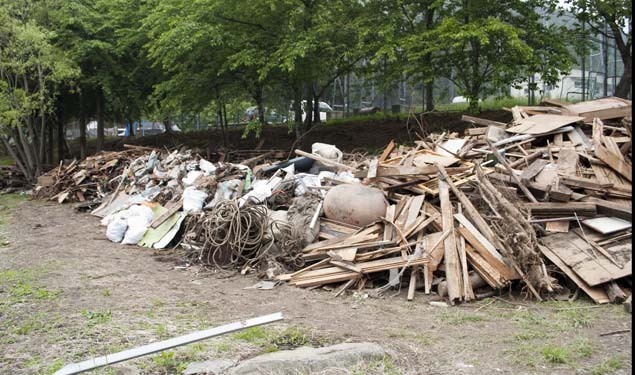 We specialize in junk and debris removal and hauling that is both cost effective and environmentally safe. Haul Yall’s Junk is proud of our reputation, price and service in helping our customers to remove clutter and unwanted items from their homes, yards, garages and businesses. Junk and debris removal and hauling including appliance removal, furniture removal, yard trash and removal of a wide variety of unwanted or unsightly items. One of the biggest reasons many people don’t haul off their junk is the fear of “sticker shock” that comes with hiring a junk removal company. Our customers find that Haul Yall’s Junk allows you to estimate your price – before you start the process. There’s nothing like the feeling of a clean, clutter-free basement, garage, attic or carport. Haul Yall’s Junk is Atlanta’s junk removal specialist. There’s nothing We haven’t seen and can’t handle. Mattresses, refrigerators, lawn mowers, you name it, We can haul it off. You have the peace of mind knowing we handle it legally and dispose of your junk in an environmentally safe manner. In fact, we’ve been recycling junk for more than thirty years! Quit putting it off. You can count on a quality job from Haul Yall’s Junk. What are some of the most unusual things we have been asked to Haul off? Would you believe pianos, hot tubs, yard debris, appliances, furniture, trampolines, carpet construction refuse, and yes – other people’s stuff that’s been left behind, rotted and become a neighborhood problem. Haul Yall’s Junk is your clean-up specialist. We’ll handle junk removal from foreclosures and storage spaces, too. I invite you to call our office and speak to a live person!! Thats right, no call center out of town, just a real person from right here in Atlanta. Some one who knows your neighborhood will come out and give you a free estimate – you’ll love your experience from start to finish. You have the TrustDale Make It Right guarantee on top of it!